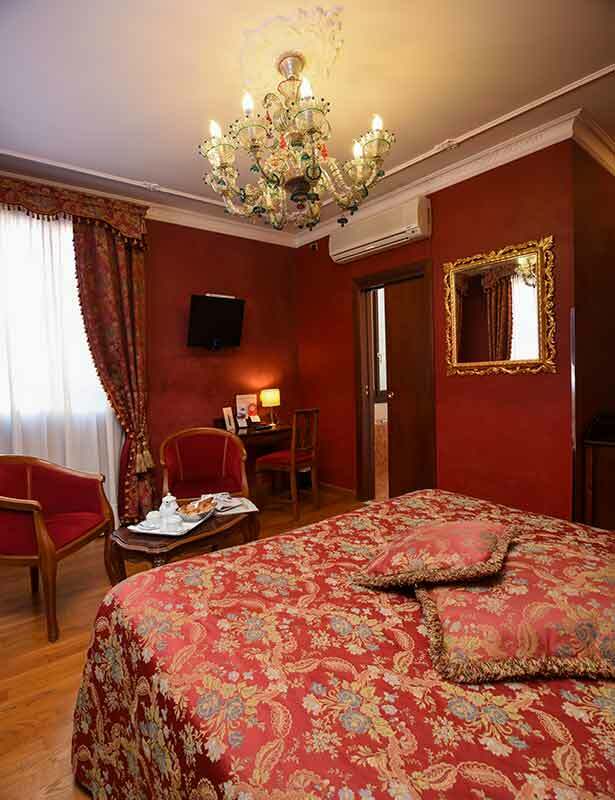 The Ca Alvise Hotel has a contemporary interior design, modern facilities and offers a new concept of hospitality in the historical heart of Venice, at 200 meters from Piazza San Marco and Rialto where international flair and luxury fittings welcomes elite travelers for an exclusive stay. 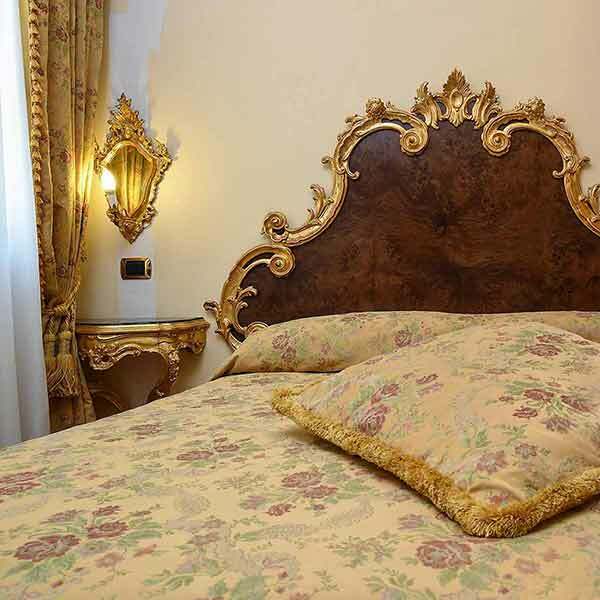 It offers the maximum comfort and the best amenities for a unique and relaxing holiday in one of the most distinctive 4 stars hotels in Venice. 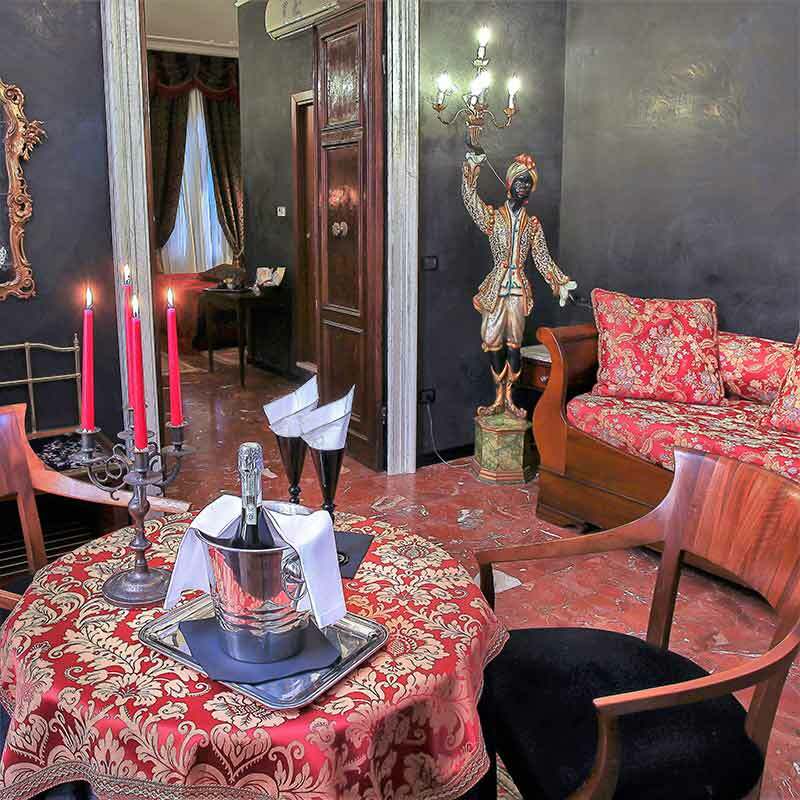 The Hotel Ca Alvise with its unique location of the hotel allows you to easily explore every corner of Venice, letting yourself be seduced by the romantic atmosphere of splendid palaces, churches and hidden corners. 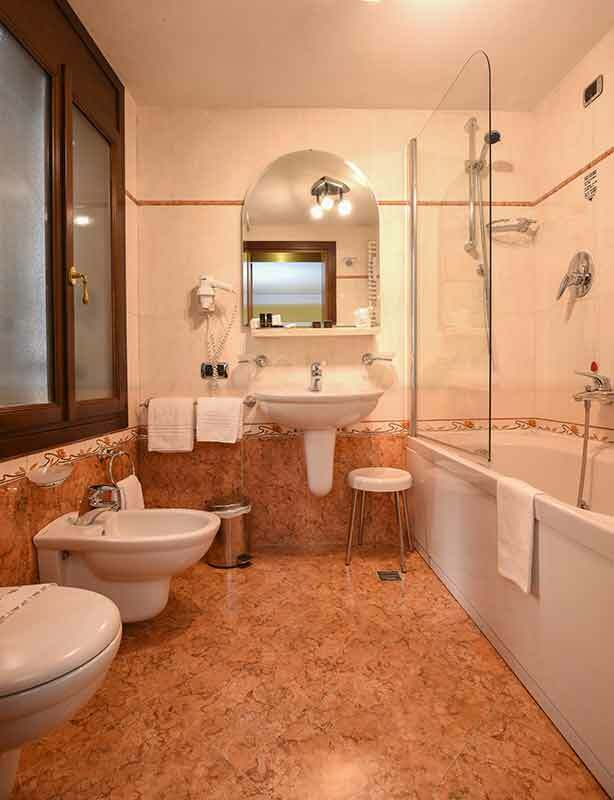 Client will have at its disposal all the services you need to enjoy your stay in complete relaxation. 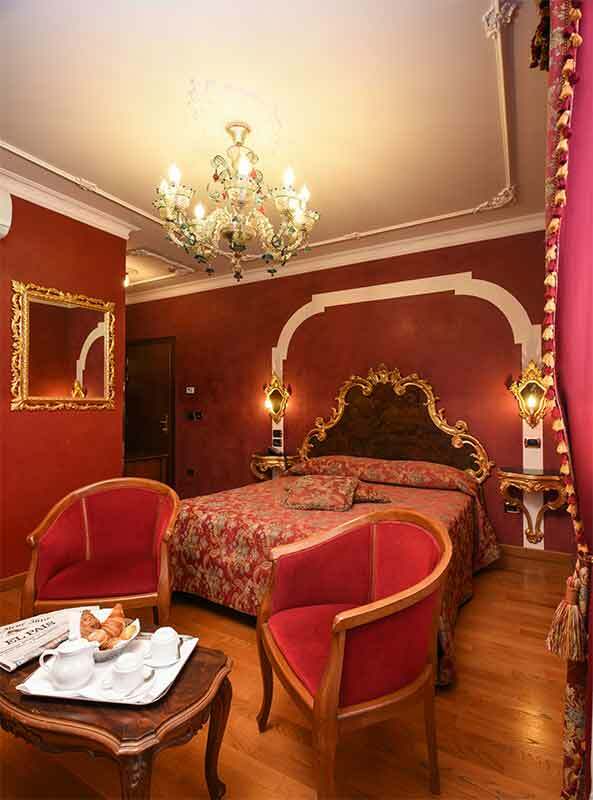 The warmth and intimacy made on a typical Venetian style, combined with the modern style of the room will make you feel as if you were at home . 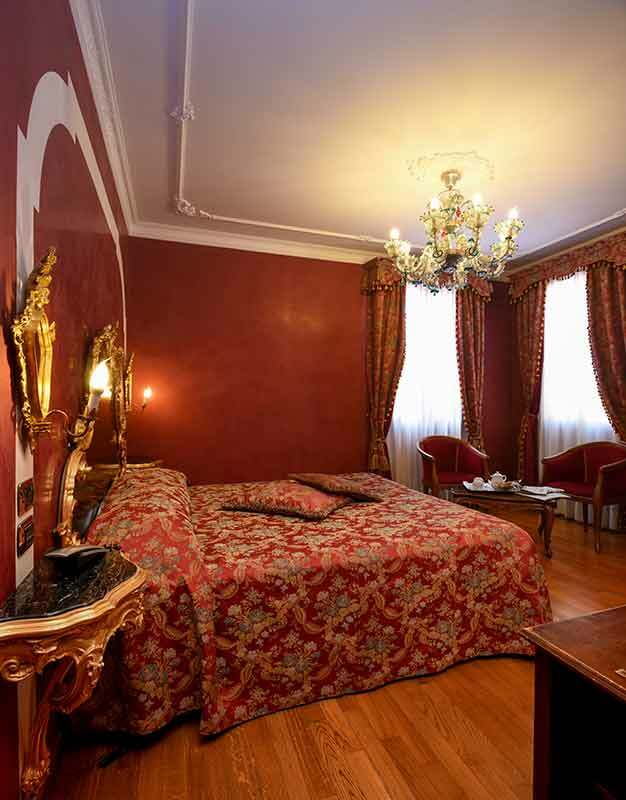 In the Gold Room client will have at its disposal all the services you need to enjoy your stay in complete relaxation. In its spacious brightness, the Platinum room adapts its services and amenities for longer stays. 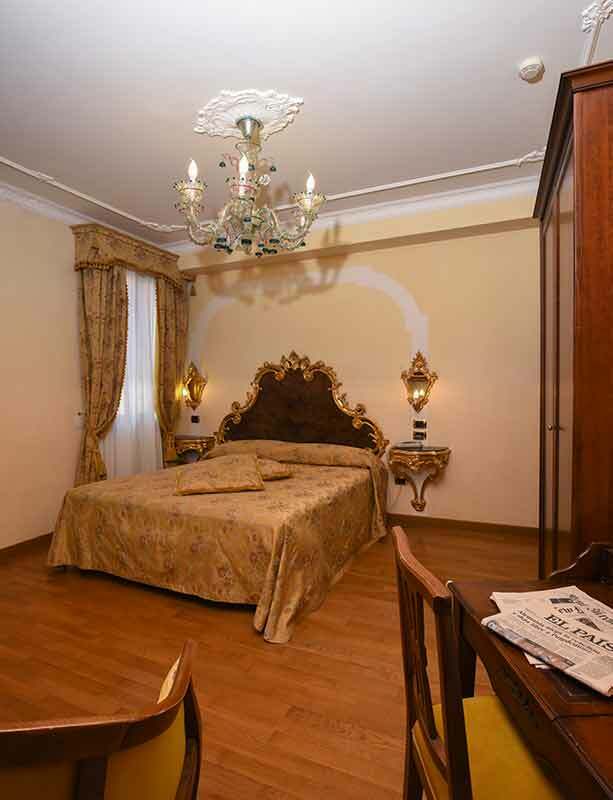 Tastefully furnished, it offers to clients every kind of comfort. It is the guarantee of maximum space, the location and standards – free Wi-Fi. The Diamond represents the ultimate in luxury and for this reason that the best rooms of the hotel took its name from this. 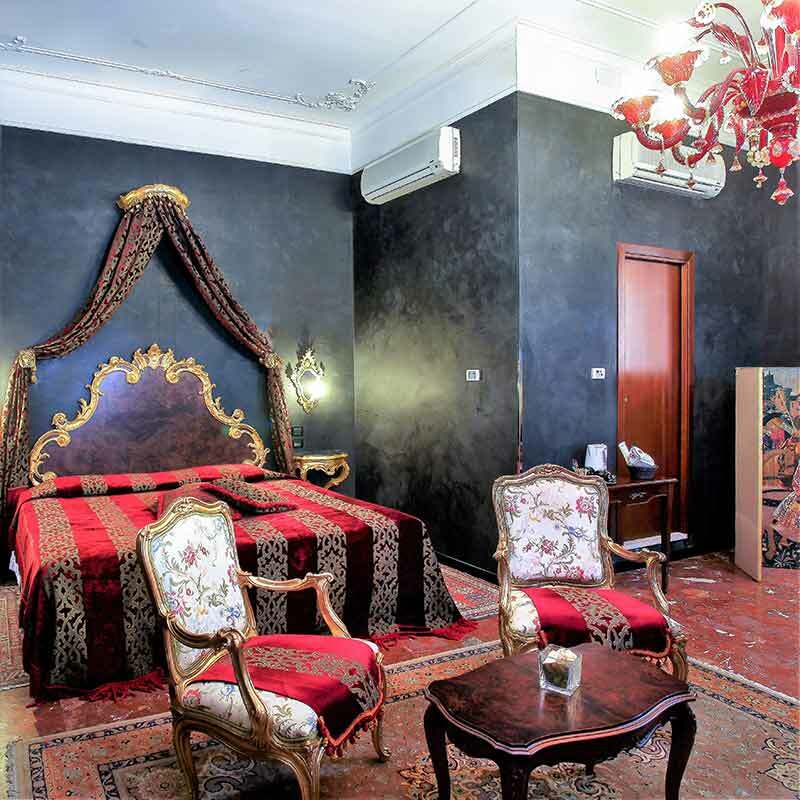 The rooms measure 40 m², are individually decorated and have a strategic position in the most interesting places of the building. You will be welcomed with a bottle of our best Prosecco and the ladies will receive a bouquet of flowers. 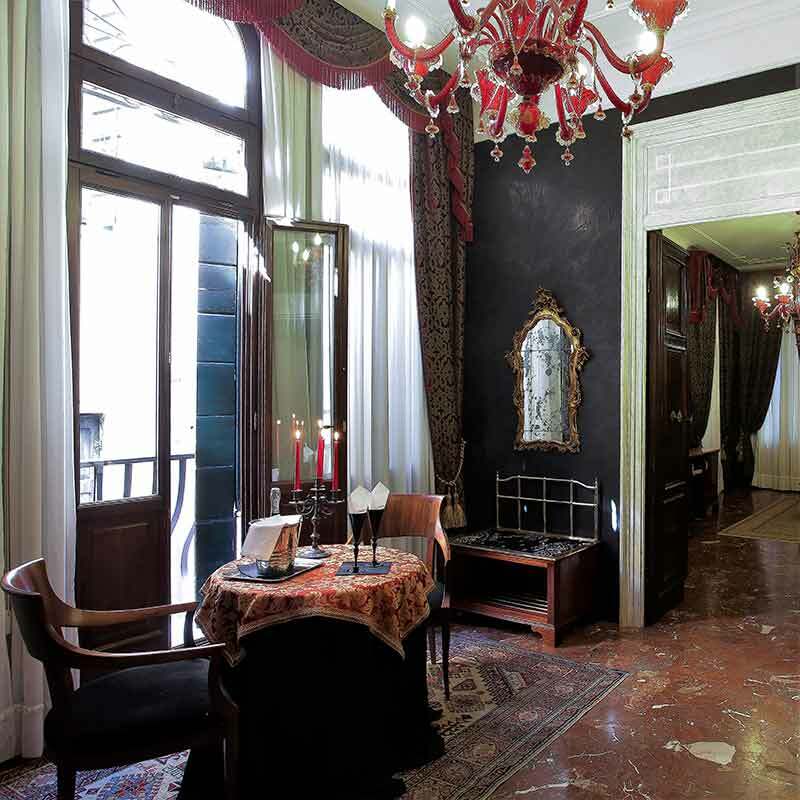 The staff will be on hand to answer all requests and make your stay an unforgettable experience.